Samson's versatile and affordable active ribbon performs surprisingly well for the price — especially on electric guitar. Within its somewhat art deco-styled bodywork, the Samson VR88 Velocity Ribbon Microphone incorporates a phantom-powered FET preamplifier and integral audio transformer, to ensure adequate sensitivity and to provide the correct impedance match for the ribbon element. The term 'velocity ribbon' can be applied to almost any ribbon microphone, and so has no special significance here. Having on-board active electronics gets around the common problem of having to set a very high preamp gain in order to get enough signal level, as is frequently necessary with older passive ribbons, often with the consequence that some circuit hiss becomes audible. It also avoids the need to deliberate over what input impedance will work best, as the active circuitry will drive any mic amp perfectly comfortably. 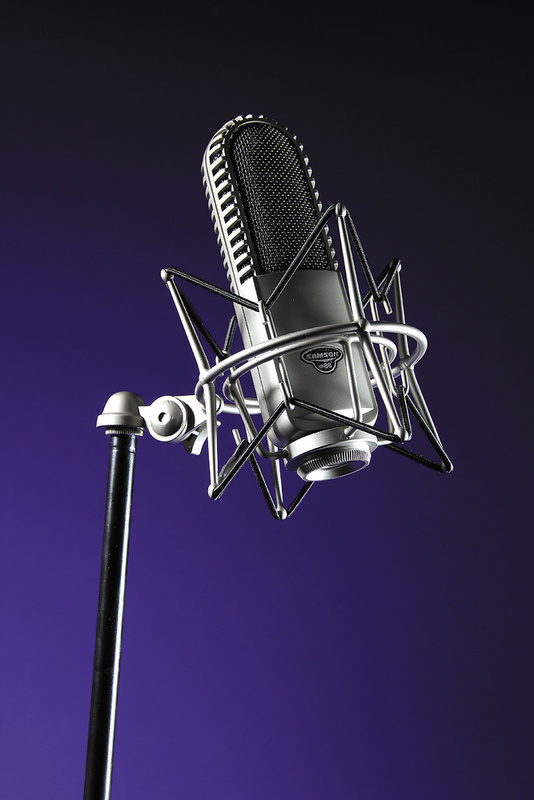 At the heart of the microphone is a 2.5-micron aluminium ribbon, which is suspended within a neodymium magnet assembly to produce the expected figure-of-eight polar pattern. All this is housed in a cast body, with a multi-layer mesh grille protection. There are no pad or roll-off switches, so where the microphone is being used close to the source, there may be a need to filter the low end to counter the significant proximity effect exhibited by all conventional figure-of-eight-pattern microphones. Samson claim that the VR88 produces a smooth, extended frequency response of 30Hz to 16kHz, but provide no curve or dB variance values to back this up. The VR88 is said to be capable of facing SPLs of up to 137dB, so it should be usable on just about any audio source without the risk of damage. I couldn't find any published technical specifications for noise or sensitivity, so I gauged these attributes subjectively when making recordings under typical studio conditions. Shipping in a lined aluminium 'camera case', the kit comes complete with a wire-frame elastic shockmount that is threaded to match the threaded base of the microphone. Manufacturing is carried out in China, and the shockmount appears to be fairly generic, as I've seen very similar or identical mounts bundled with other Chinese-built microphones. A typical ribbon mic has less top end than a capacitor model and, on paper, its response looks similar to what you'd expect from a moving-coil dynamic mic. You might, therefore, wonder what the benefits are, especially when you can buy a reputable moving-coil dynamic mic for far less money. It's a fair question, but the answer hinges on the fact that the ribbon mic is actually a fairly simple device capable of delivering a very natural sound. Its mechanical resonances are usually below the audio band, there's no complicated acoustic labyrinth needed to optimise the polar pattern, and the lightweight diaphragm doesn't have to lug around a heavy voice coil. Granted, the figure-of-eight pattern isn't the best choice in all situations, but in most instances an acoustic screen behind the mic will give you a degree of separation similar to what you'd expect froma cardioid pattern. Another benefit is that the off-axis frequency response remains reasonably consistent, even though the figure-of-eight pattern offers almost complete rejection of sounds arriving 90 degrees off axis — a useful feature in maintaining separation from adjacent sound sources. As there are no high-frequency resonances in the ribbon, the high end comes over smoothly, even if you resort to some EQ to lift the highest frequencies. As to the VR88's performance, my initial voice test showed the mic to have the expected smoothed-over high end typical of a ribbon mic, but it didn't go as far as sounding dull. In fact, at a distance of around 10 inches and with no EQ, it produced a very plausible 'radio DJ' sound character, with the proximity effect beefing up the lows. A little low-cut filtering and high-shelving lift produced a more contemporary vocal sound, without any significant noise penalty and no spitty or strident side-effects from pulling up the highs, as you can encounter with some capacitor mics. The same is true of acoustic guitar, where a little careful EQ yields a fairly natural sound. Mid-heavy sounds such as electric guitar can also benefit, as the smooth high end is kinder to overdriven amplifier sounds than many capacitor models are, while the overall tonality doesn't have the somewhat nasal character that many cardioid-pattern moving-coil mics produce. Indeed, with slightly overdriven blues and rock guitar tones and the mic a foot or so from the speaker grille, the sound was exceptionally good, yielding results comparable with any other ribbon mic I've tried regardless of price. There was plenty of bite but no unnecessary grit, while the low-mids came across as suitably throaty and punchy. The high SPL handling helps here, and also means the mic will stay well within its comfort zone when working as a drum overhead. 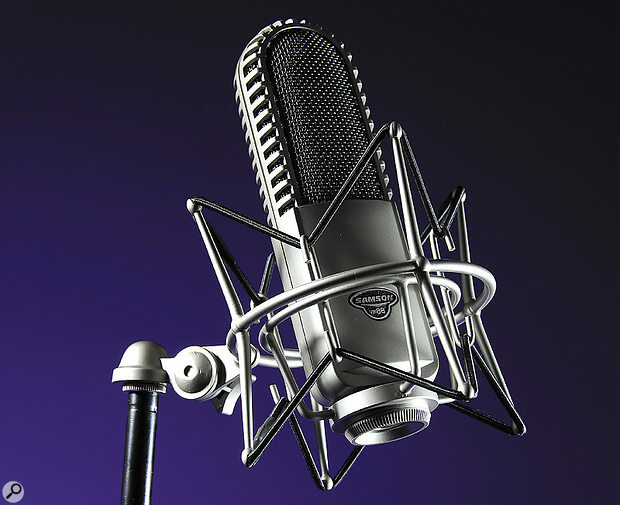 To sum up then, given that the VR88 falls towards the budget end of the range for active ribbon mics, it turns out to be a capable all-rounder, and while maybe not the first choice for pop vocals, it could suit those singers who have thin or edgy-sounding voices or who want to recreate more of a retro jazz club sound. I'd be happy to use it for acoustic guitars, electric guitars and for bowed strings — or even upright bass, in situations where spill wouldn't be a problem. I also like the sound of ribbons over the top of a drum kit, as the cymbals don't come over quite so aggressively. To sum up, then, the VR88 may not be an 'exotic' ribbon mic, but it is a very capable one nevertheless. There are now several affordable ribbon mics on the market, both passive and active, each with their own character. In this price range, ShinyBox, SE Electronics and Sontronics are among the brands to check out. Comes with hard case and a decent shockmount. Active, so no need for a high-gain preamp. The only cons are those associated with most ribbon mics in general: the high end may be too smoothed-out for some applications, and you also have to be aware of the strong proximity effect. They are also less mechanically robust than other types of microphone. Samson have come up with a versatile ribbon mic that has many applications in the typical project studio.